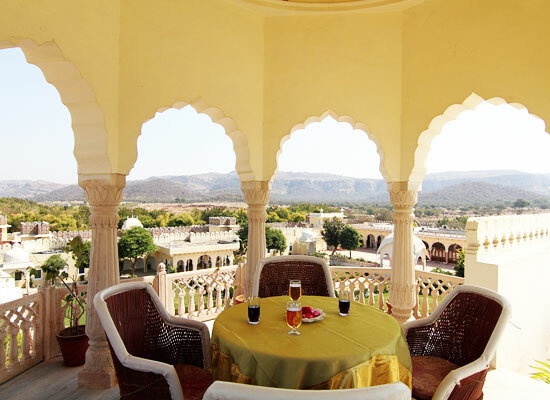 "Located in Alsisar village, Alsisar Mahal Jhunjhunu is one of the most popular heritage hotels in Jhunjhunu. Traditional hospitality, luxurious comforts, regal ambiance, stunning architecture, beautiful interiors are all rolled into one. The expansive courtyard and well-maintained lawns look alluring, transporting you to another era. The property has 51 well-appointed rooms, which have a traditional decor with contemporary conveniences. 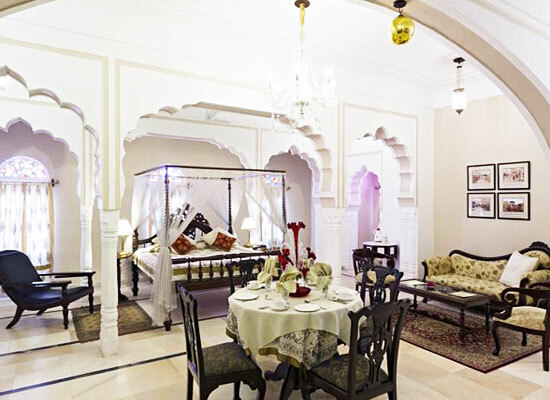 At the restaurant, the guests can savor sumptuous Indian delicacies with Rajasthani being the specialty. The hotel has a well-stocked bar too. The antique furniture is simply wonderful. Alsisar Mahal was originally the residence of the Thakur of Alsisar. 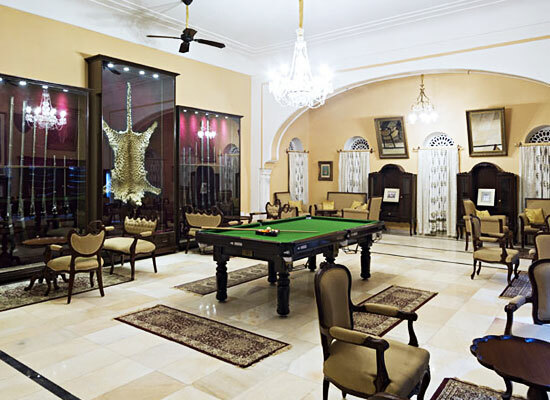 It is a beautiful mansion that boasts of a glorious past and stunning architecture. Converted into a heritage hotel, it still has that same old allure and regality. 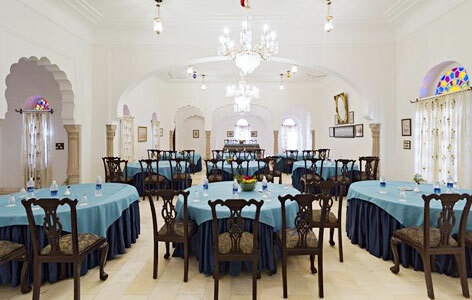 Alsisar Mahal has 51 well-equipped air-conditioned rooms that come with all the contemporary facilities such as air-conditioner with individual temperature control, beautifully carved four-poster bed, fan, comfortable sofa with center table and so on. The attached bathroom features shower and bath tubs with round the clock running hot and cold water. 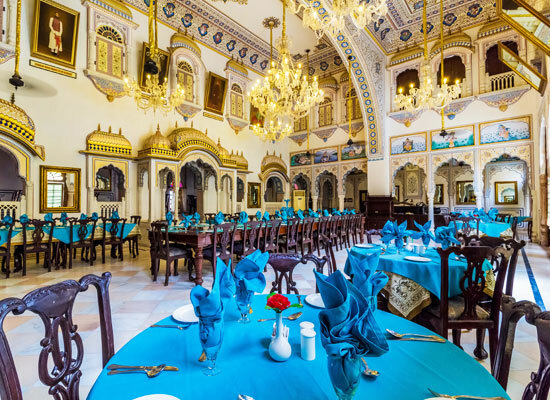 Each room tells a tale of royalty and beauty. The interiors are simply amazing. Medieval delicate Rajasthani motifs on fabric look plush. Painted walls and ceilings, rich furnishings, hand-knotted rugs, all look splendid. The on-site restaurants and bars serve lip-smacking delicacies of Indian, Chinese, and Continental fares. Rajasthan cuisine is the specialty. Savor the finest of wines, spirits and cocktails with your meal.